I am currently finishing up my M.F.A. in Curating at the Kwame Nkrumah University of Science and Technology (KNUST) in Kumasi, Ghana. During my studies, I have been working as a Co-Curator with blaxTARLINES KUMASI, the contemporary art project space for the Department of Painting and Sculpture at KNUST, as well as independently curating my own exhibitions. My thesis show, “if you love me…”, was staged at the Locomotive Shed of the Kumasi Railway in April–May 2016, and co-curated with my classmates Selom Kudjie and Patrick Nii Okanta Ankrah. 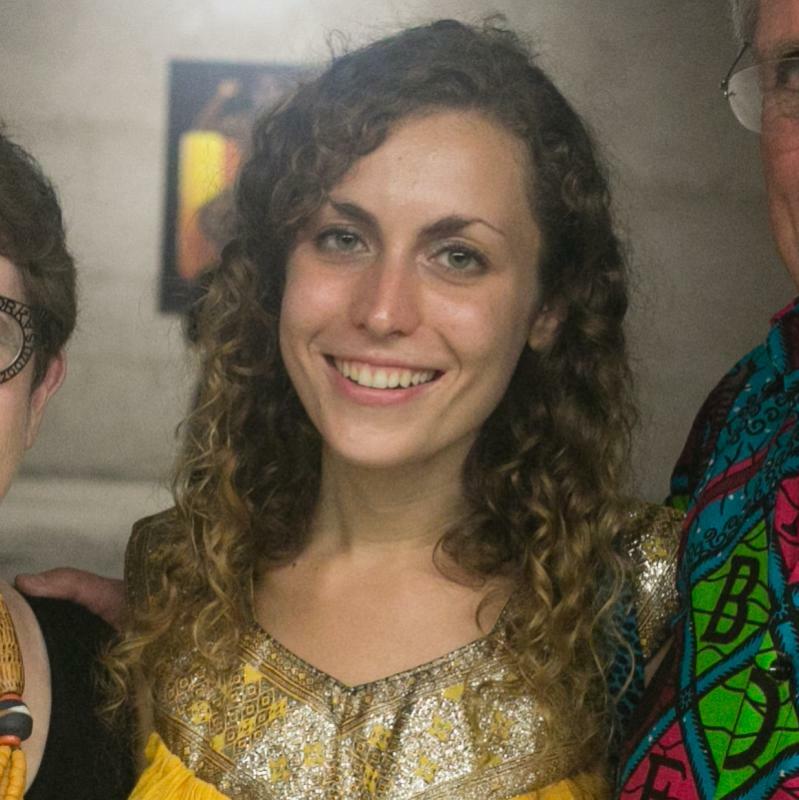 I have been working in the arts mainly in Accra, Ghana since graduating from Haverford in 2012. When I got to hear about the new M.F.A. Curating course at KNUST in Kumasi, I knew it was exactly what I want to do. I participated as the first student in 2014, and the program has kept on growing every year. I was an English major/Africana studies concentrator at Haverford, but active in the arts and especially with the Hurford Center for Arts and Humanities. My father used to take me to museums and exhibitions when I was a child, and though I never thought that I myself could be an artist, I have found that curating is a way for me to be in art and close to art, attempting as best I can to approach curating as a kind of artistic practice. ell us about a decision or change you made that turned out to be a positive career move. I needed some time after Haverford to go out and be in the world, but going back to school after two years to pursue my Masters at KNUST is the best decision I ever made. Now that I have a better sense of my interests, I have been able to return to school with renewed energy and “vim,” as we say in Ghana. My course in philosophy, theory, art history and practice has twisted my head around and turned my brain putty inside out. I feel privileged to be learning from such brilliant teachers, with a community of classmates, artists, and friends who generously support, collaborate, and contribute to each others’ work and lives. It is thanks to Haverford that I ended up in Ghana in the first place. I first came here while on CPGC grant to intern with a friend of Professor Jesse Shipley. The next year I was given another CPGC grant to go back and start my own art project with friends who were artists in Accra (Musah Swallah and Yussif Aminu Larry). The project was so successful that we ended up sustaining it and turning it a non-profit arts organization, Nima Muhinmanchi Art (NMA). Since 2011, NMA has been running as a kind of street art collective and community arts network. Though I left the group in 2014 to focus on my studies full time, NMA is still going strong. I am always grateful to Haverford, CPGC and Jesse Shipley for taking that first chance on me, back when I was still figuring out what it was I wanted to do and how I could begin to navigate it. There are incredible resources at our fingertips as students at Haverford, and I feel privileged to have been there and been able to make the most of them.